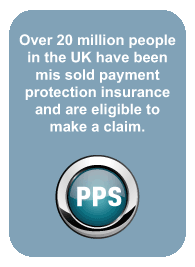 At Payment protection Scotland we have history of successful PPI claims against H.F.C. Bank. Currently 92% of ppi claims we make against H.F.C. Bank are successful. If you’ve ever had a loan, credit card or mortgage with the H.F.C. bank in the last 10 years you could have been mis-sold PPI. H.F.C. Bank made massive profits by mis-selling PPI. Call Payment Protection Scotland today and within minutes one of our experienced claims managers will assess your H.F.C. Bank PPI Claim. We take on all H.F.C. Bank claims on a No-Win No-Fee basis. So if your claim isn’t successful it won’t cost you a penny – What Have You Got To Lose? Contact Payment Protection Scotland today to start your H.F.C. Bank PPI Claim.